Stretching North from San Francisco Bay to the Oregon border, the North Coast offers 389 miles of spectacular coastline. The landscape is defined by the Pacific Ocean, but instead of boardwalks and bikinis there are dramatic cliffs and pounding waves - the sunbathers are mostly sea lions! There are no strip malls here, just small sleepy towns tucked along the ragged shoreline. This stretch of Highway 1 is made up of numerous little worlds. Bodega Bay will be familiar as the setting for Hitchcock’s The Birds, while you can explore the Russian River Valley en route to more than 70 wineries, including the Korbel Champagne Cellars at Guerneville. You’ll adore the picturesque hill-top town of Mendocino with its New England-style houses. Stop here for lunch and explore its art and craft shops. 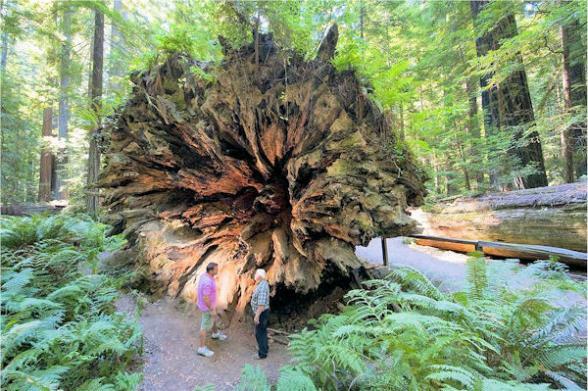 Cruise further up the coast to Fort Bragg, a great place for whale watching or take the Skunk Train trip through the California redwood groves on the 4-hour round trip. Further north stroll the quaint streets of Ferndale with its Victorian Main Street or enjoy a harbour cruise from the old town waterfront at Eureka. 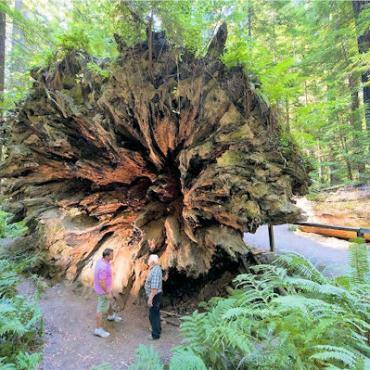 Between here and the Oregon border the highway heads inland to the Redwood National Park, where you can picnic amongst some of the oldest and tallest trees in the world.